"I have never been an athlete. I found IronJuan at my local gym when a friend wanted me to race in a sprint triathlon with her last year, and I have been training with Juan ever since. If you would have told me then that I would go on to complete a half ironman a year later (and with a smile on my face), I would have told you that you were crazy. Juan's coaching style is very effective for athletes of all levels and backgrounds (see I even call myself an athlete now). He has a way of instilling confidence that was really necessary for me to succeed. Juan's patience, knowledge, and positivity is truly unmatched. I could have never gotten this far without him!" I have known and enjoyed training with Juan since 2009. He is an incredible human being. His sincerity, respect (young and old), motivation and dedication to train his collogues is unique and cannot be matched. I completed my first Half Iron competition at age 66 (two years ago). Prior to that I was a causal/leisure swimmer and never biked more than 10 miles. Without Juan being on my side during my training, I would have never been able to prepare for this event in 12 weeks. Thank you Juan for being my coach, and more importantly being a friend. My introduction into the world of triathlon was not a good one. 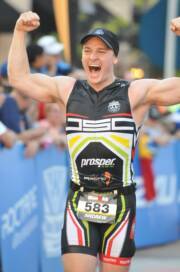 Being a collegiate swimmer, putting thousands of hours into training throughout my life, I thought I knew how much and how hard to train for my first half-ironman distance triathlon. I thought I didn't need a coach to tell me what to do. 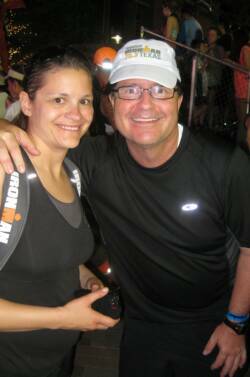 I was wrong – I finished in 6:16:55, and it was one of the most painful experiences of my life. 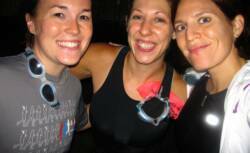 I swore I would never do another triathlon. A few months later, after a long recovery, I heard about the IronJuan program and decided to give triathlons one more chance. After discussing all of my options with Juan, we selected the 2012 Austin 70.3 as my next race. Juan took the time to personalize a training program for me, worked with my schedule, and put an incredible amount of effort into my training. His attention to detail is impeccable and he is fun! Training is challenging, as Juan will always push you to do your best, and the friendships I developed with my IronJuan teammates made a huge difference. Knowing I had a coach that fully supports me and my training made the hours completely worthwhile. I completed the race in 5:34:14 – 43 minutes faster! 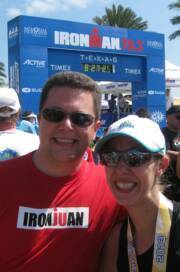 Also, unlike my first half-ironman, I felt great at the finish line. I have no doubts that the IronJuan program made the difference. Juan is not only a great guy, he provides a service that WORKS! Due to the great success I had in Austin, I decided to continue training with IronJuan to complete my first full Ironman distance triathlon. Juan, again, went above and beyond. For example, I needed to do a long training ride/run after work on a Friday night due to my busy schedule. Juan checked on my progress every hour of my 5 hour indoor training ride, and followed me in his car on a 6 mile run at 12:30 a.m. I know no other coach that would stay up past midnight to motivate and ensure the safety of one of his athletes. And, this is just one example of many more of the care and attention he gives to his athletes. 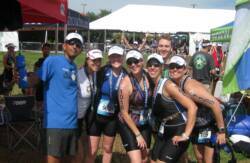 I finished Ironman Texas 2013 in a time far better than what I thought was possible. The IronJuan program completely prepared me for the trials and tribulations of a full Ironman – there was never any doubt of whether I was going to finish, the question was always how fast. The bottom line is that Juan cares deeply about his athletes. If you want a coach that cares about your training, and you as a person, then he is bar none the best.